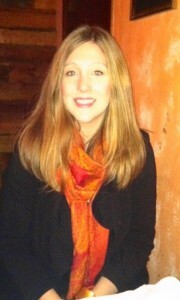 Ginna Clark, PsyD., LPCC, ATR-BC, is a psychotherapist and art therapist in private practice in Santa Fe, New Mexico. She received her BA in psychology and women’s/gender studies from the College of Charleston in Charleston, SC and her MA in art therapy and counseling from Southwestern College. She received her doctorate from the Institute of Contemporary Psychoanalysis and Psychotherapy in Los Angeles, CA. Ginna works from a relational perspective, an integrative, contemporary psychoanalytic model, which draws from attachment theory, object relations, interpersonal systems theory, and self psychology to inform clinical process and thinking. She is particularly interested in the epistemological questions that underlie clinical process (e.g. how we come to know what we know), as well as the interpersonal impact on changes in procedural knowing (and how this relates to therapeutic action or what “works” about psychotherapy). Ginna has researched, written, and presented on dimensions of the client-therapist relationship, with a particular focus on the impact and use of transference and countertransference in clinical process. Her academic research includes diverse areas of interest including the relationship between personality/character structure and prejudice; trends in adolescent sexual behavior; non-consensual sexual experiences and re-victimization in college women; relational psychotherapy and binge eating disorder; as well as the application of neuroscience, attachment and developmental theory to here-and-now clinical moments. She has presented various papers to the American Art Therapy Association, the American Psychological Association, and the National Eating Disorder Association. She most recently worked on a paper for presentation in June 2011 entitled A Contemporary Ethos of Eros which explores some fundamental contradictions at the epicenter of romantic love and suggests that a changing society affects our contemporary ethos of love, as well. Prior to pursuing a degree in counseling and art therapy, Ginna worked in college and community mental health settings doing prevention/psychoeducational work, as well as crisis intervention. She is a professional member of the American Art Therapy Association and the International Association for Relational Psychoanalysis and Psychotherapy, as well as the American Psychological Association’s Division 39.